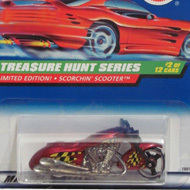 1/12 from the 1998 Treasure Hunt series. 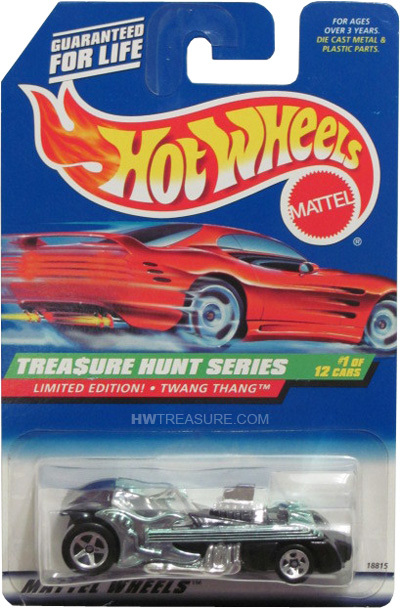 The Twang Thang is black with “Treasure Hunt ’98” and the Hot Wheels logo in blue on the front. It sports chrome guitars and engine, clear windows, chrome interior, 5-spoke wheels, and a black Malaysia base.